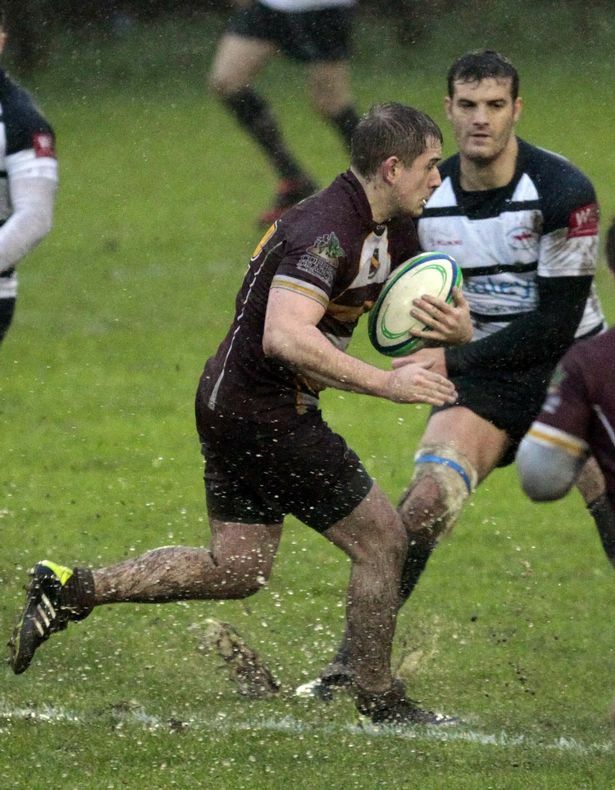 There wasn’t to be a revival for Huddersfield Rugby Union Club as they were blown away 32-6 by relegation rivals Preston Grasshoppers in torrential rain at Lockwood Park. In fact, the match was stopped 10 minutes early as the deluge waterlogged the pitch. Coach Gareth Lewis’s side were without both second rowers Adam Malthouse and Austen Thompson – ruled out through injury – and their physical presence was missed early on when Preston’s William Lees pounced over to reward the visitors’ constant pressure. The kicking of full-back, Sean Taylor, who kicked an impressive five out of six penalties in the torrid conditions, constantly stretched Preston’s advantage. Gavin Rhodes returned to the side for the first time in a year, but he couldn’t help a try-less Field; with two penalty kicks in the first half from fly-half Chris Bell the only thing for the home team to celebrate. Going in at half time 15-6 down, the Huddersfield faithful had a slight hope of a turnaround in the second half, but any hope was shattered as the Field conceded a penalty within minutes and Taylor made the score 18-6. 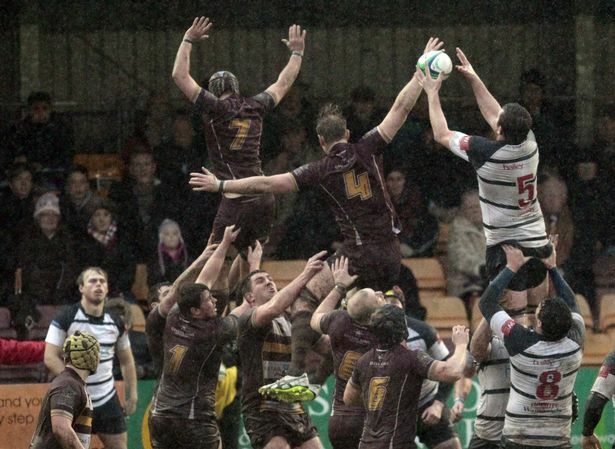 Two more converted tries by the Lancashire outfit secured a sure victory on a vital day for both sides. Enough was enough for captain Nick Sharpe as he came together with the officials to decide to finish the game early. Rain did play a part on the game, but Lewis made no excuses for the loss. “The conditions were the same for both teams, we can’t use the weather as an excuse,” he said. “I’m bitterly disappointed in the way we played. We just didn’t get the field positions. We said before the game that games can be easily won and lost. We tried to overplay and just created pressure on ourselves. Sharpe also expressed his annoyance, but promised his side will turn it around. 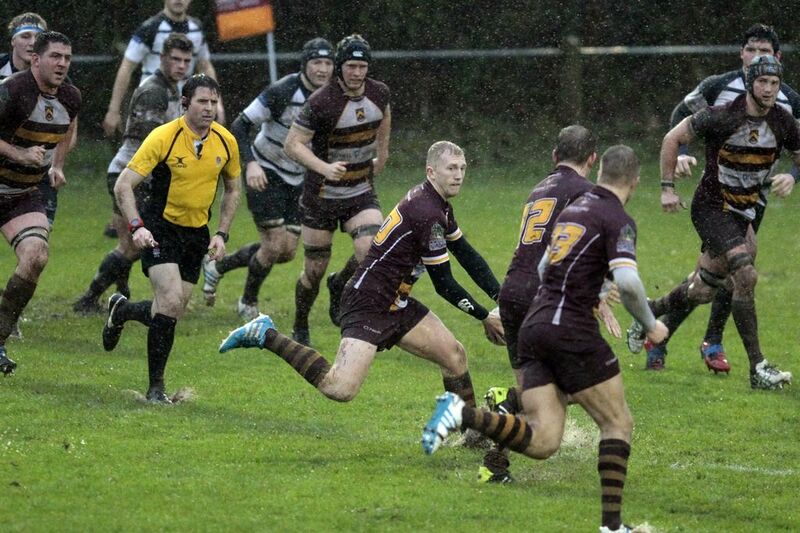 Huddersfield RUFC v Preston Grasshoppers at Lockwood Park. “We’re all obviously disappointed,” he said. “We got well beaten but, in those conditions, it was always going to be tough, especially with the players we had missing. “We’ve shown quality and still have plenty more to show, so there’s still a lot to play for. The heavy defeat keeps Field in the relegation zone, and if Huddersfield’s game next Saturday away at Broadstreet was a big game before this demolition, it’s now a huge game as both teams can’t really afford another defeat. “I’ve expressed my disappointment towards the players,” said Lewis. “They know they haven’t played well enough and I don’t need to tell them that really. “We’re in the pit at the moment and we’ve got to get over it. It can’t really get worse. We look forward to the next game and shake this off. Huddersfield: Workman, Hodson, Hodgson, Owen, Rawsthorne, Bell, Jeffrey, Sanderson, Bradley (L), Battye, Rhodes (N), Rhodes (G), Parfitt, Hoyle, Sharpe. Reps: Kanouras for Rawsthorne, Walker for Rhodes (G), Hinchliffe for Jeffrey, Tamanis for Battye, Rawsthorne for Workman, Thornton for Hoyle.